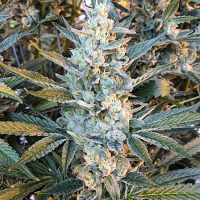 White Widow Auto Feminized Cannabis Seeds by Green House Seeds: Indoor flowering time; 7 weeks flowering time with a yield up to 600gr/m2 can be flowered at 18 or 12 hours photoperiod 9 weeks total crop time. 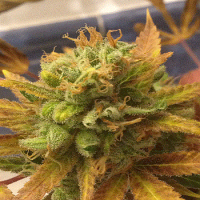 7 weeks flowering time with a production up to 70 to 80gr/plant, very short plant, short branching. 70 to 80cm total height can be flowered any time of the year provided temperature stays above 10° C. Effects: Very similar to the original White Widow, a complex body-stoned followed by a clear cerebral high fast hitter, long lasting.